Happy Thursday my loverlies! The week is nearly over, huzzah! This week has been equal parts awesome and stressful. Awesome and stressful because I started writing my sixteenth novel. Yup. Sixteenth. Mind, I write under this name and under an alter ego, so a couple of those novels are under a different name, but all told, I have a YA series that had five installments, an NA trilogy, an Adult UF series that has four completed books (this one I’m starting is the fifth in that series) and then my alter ego has written four novels. When I finished writing my fifteenth novel in mid December I was totally spent. I wasn’t burnt out, because I hadn’t overdone it over the course of 2014 but I had still written a vast number of words. I was just happy I’d finished before the holidays so I could actually enjoy them. But then January came around and I was thinking about writing, but an editorial deadline was looming for that 15th book and I knew I didn’t have it in me to start a fresh book while still working on that one. Normally I can edit one while writing another, especially if they’re different worlds because it’s like getting breaks from each of them, but not this time. So I sent it off and prayed. But I didn’t write. I didn’t outline. I did THINK about writing. I knew there were three possible stories for me to start, but my mind just wouldn’t get to the deciding part. And then I heard from my first beta. She’d finished reading in record time, too. And she loved it. Holy crap. Yes, she had some constructive criticism to offer me, like any good beta, but as a whole and as the end, she was on board. HUZZAH! But still. No new words. No new world opened up for me. So I worked on the suggestions the first beta gave me and waited. I didn’t have to wait long. And again, the feedback was good! Fantastic even! And she had some more constructive criticism on different parts of the book that made me say, “YES! That is totally missing from the book! Brilliant!” So I worked on those edits. But no new words. But suddenly I knew which story I wanted to write. And I was able to sit down with a cuppa and some research and a fresh legal pad and started writing an outline for this sixteenth book. It took about a week to write the whole outline, but by the end of the week I was excited and confident about it. Yes, this is the one, for now. Maybe I was worried I’d tapped the well. Maybe I was afraid I’d get negative feedback and the dreaded, “Wait. That’s it?” from my betas. Maybe I needed that boost of confidence that the well wasn’t dry just yet. Or maybe I just needed a full six weeks away from daily word counts. But on Monday I sat down and I wrote the first two thousand words of the new book. I’m taking my time because sometimes you just need that. So if you’re stuck, maybe you’re stuck for a reason that has nothing to do with “writer’s block” and everything to do with giving yourself a little break and a little boost of confidence. So take it. Don’t feel guilty about it. Your work will be better for it. So. Speaking of all these books. I do have a new one coming out tomorrow! Whoa! 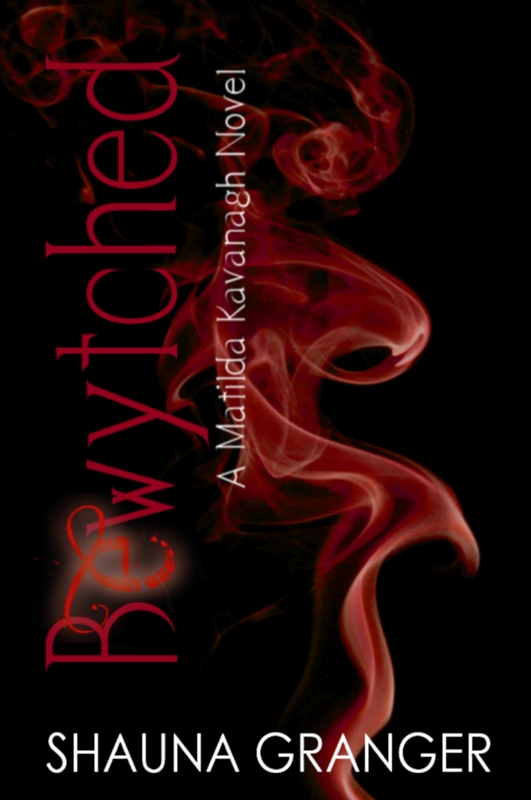 If you’re in the mood for a little witchery and magic and some Valentine’s Day hijinks, might I suggest picking up my latest Matilda Kavanagh Novel? And our Emmie Mears has a shiny new book out too! 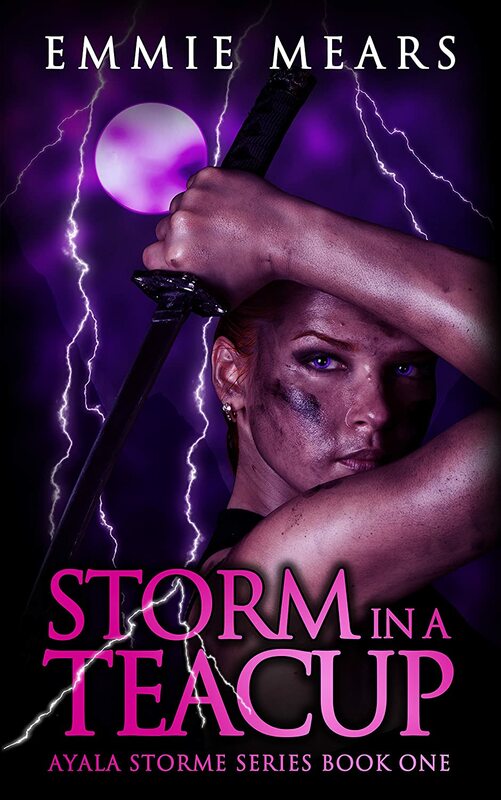 Check out her badass heroine as she smites some Hellkin! You can get both books for the price of one movie. That ain’t too shabby. So much congratulations on your new release (& Emmie’s) & on your fresh start & on knowing and trusting yourself enough to take the time you needed. Bravo! My monthly post over at the Spellbound Scribes’ Blog!